Do wewe Think Kohta is funny? mashabiki wanachagua: Yes he's hilarious! who is your inayopendelewa character ? wewe are a _______ that likes Highschool of the Dead. That feel...do wewe feel it? Another Friday the same routine, Sharumi was getting tired of the same thing every day. It was like he was turning into a robot without the chance to change it. He woke up at 6:00 am right on time, got dressed, ate breakfast (frosted flakes), then got to school at 7:45 am. “If things keep going like this then I will go insane, I need change” he alisema to himself as he walked into the art class for the umpteenth time. Here's some news if wewe don't want to look around for it on yourself! Haha anyways lets continue. Okay now first your all wondering if there is a sekunde season coming out.... well we have to see how well the anime and manga are doing so they can continue it. If it's good enough the sekunde season can come out this mwaka in 2011 early. I wrote on the ukuta about the OVA coming out. what did takagi do to prove that zombies could not see them ? How do wewe think the infection spread so quickly? 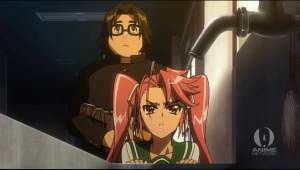 what do wewe think of the zombies from Highschool of the Dead ?